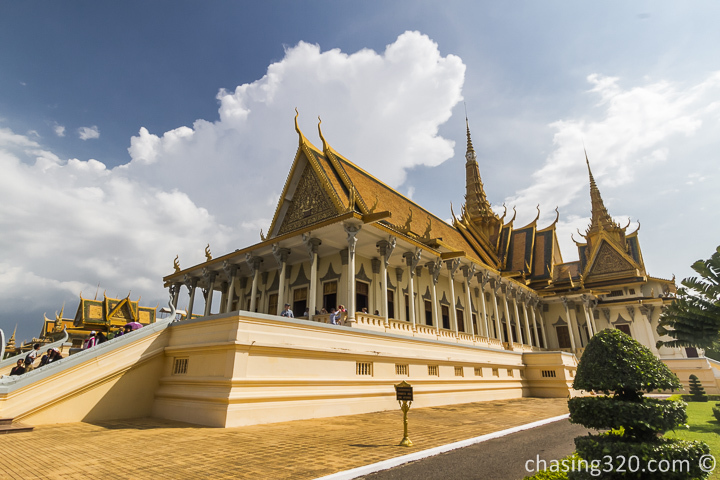 One of the top spots that tourist head to in Phnom Penh is The Royal Palace. There are two counters to purchase your tickets (USD 6.50). When I arrived, the counter on the right was packed but surprisingly, no not many on the left. So I bought my tickets and entered. It is advisable to have long pants and no sleeveless clothing. The garden is beautiful and well maintained. This was the main palace. One done, head over to the silver pagodas on the south side of the compound. Everyone was hiding under the tree due to the intense heat and humidity. It was a quick round for me. Less than 30 minutes and we were done. Pos did not expect us to finish so quickly so we headed into a cafe to have some snacks whilst awaiting.